Gisele Bündchen is one of the most famous supermodels of all time. Known globally for her business savvy, her philanthropy, and her advocacy for environmental protection, she has been listed by Forbes as one of the Most Powerful Women in the World and among the world's most generous celebrities. She has served as Goodwill Ambassador of the UNEP (United Nations Environment Program), and was named by Harvard University as a Global Environmental Citizen in recognition of her eco-efforts. She lives near Boston with her husband, New England Patriots quarterback Tom Brady, their children, and their dogs. 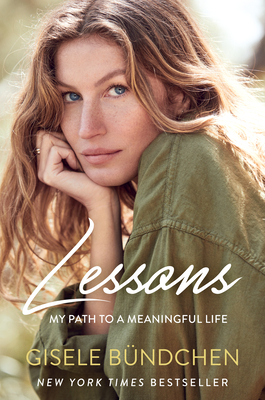 Her profits from this book will go to Luz Foundation, which Bündchen created in 2007 to support social and environmental causes.